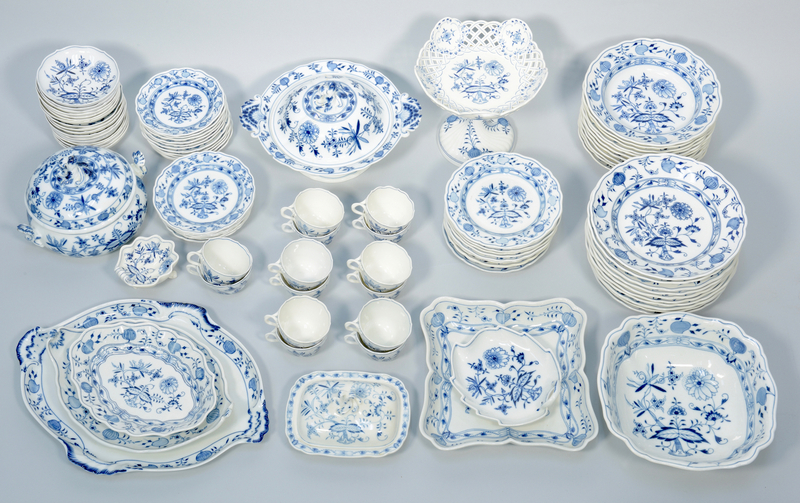 Lot 686: Meissen Blue Onion Porcelain, 93 pcs. 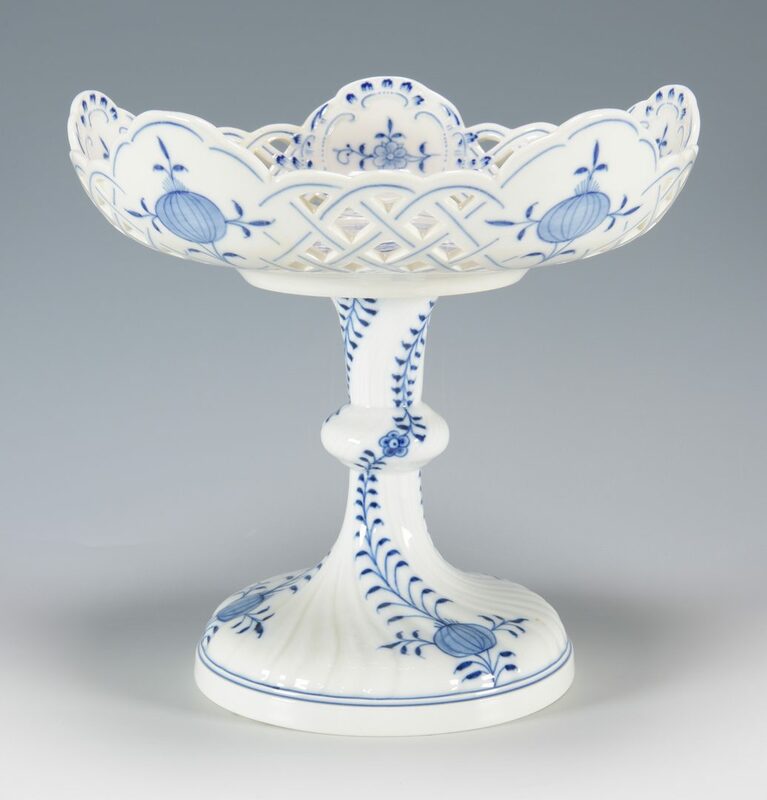 You are here: Home >> July 30, 2016 Historic Southern Summer Auction >> Lot 686: Meissen Blue Onion Porcelain, 93 pcs. 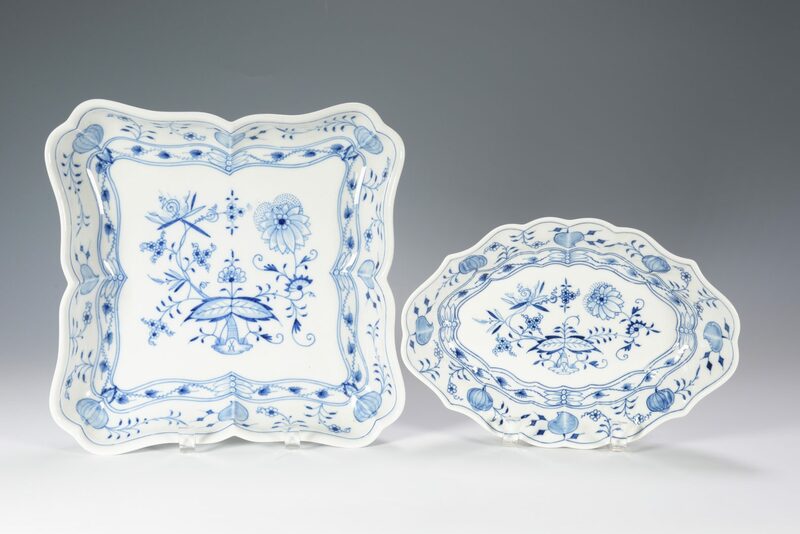 Large assembled collection of Meissen Blue Onion pattern porcelain dinnerware, mostly 20th century with blue sword mark and green Germany stamp, consisting of 12 dinner plates (ten are 10" dia., two are 9 3/4" dia. 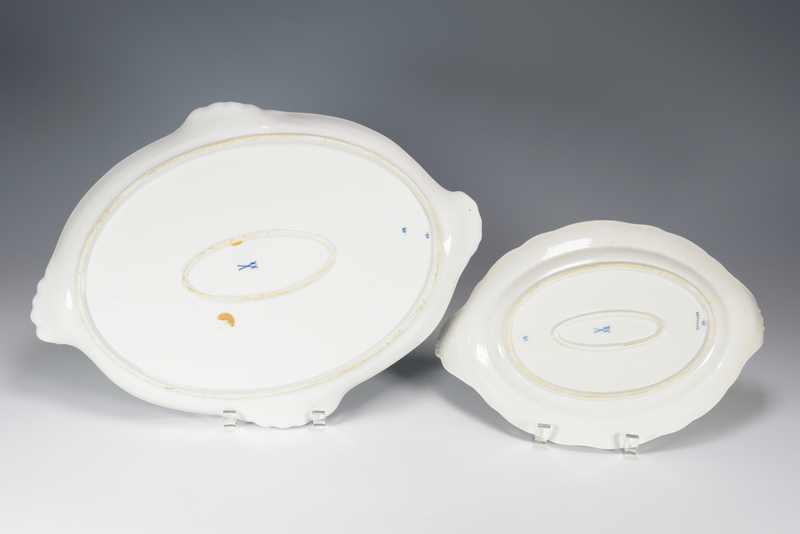 ), 11 soup bowls/plates (9 3/4" dia. 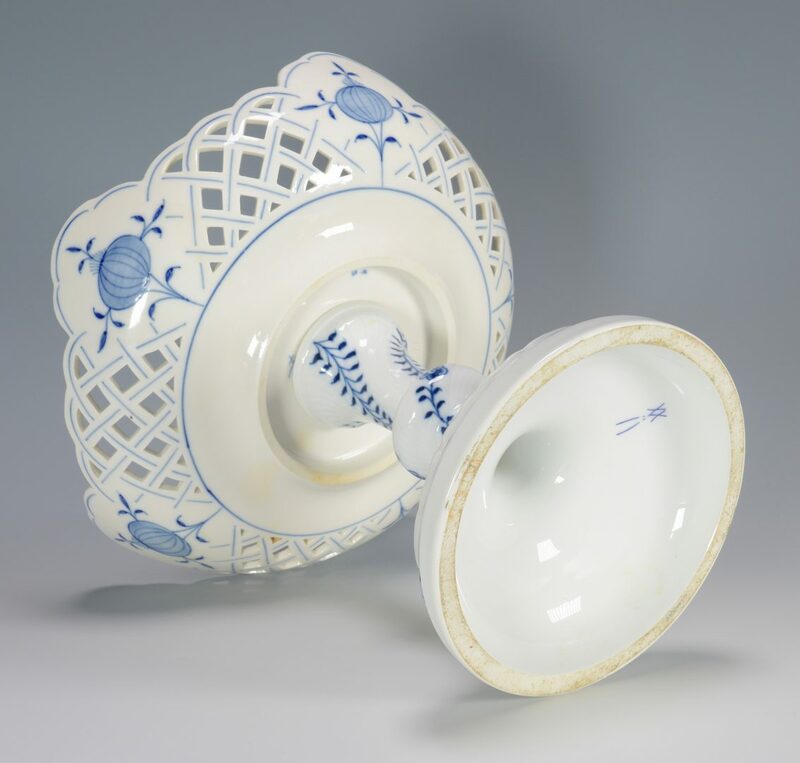 ), 14 coffee/tea cups with 16 saucers (5 1/2" dia. 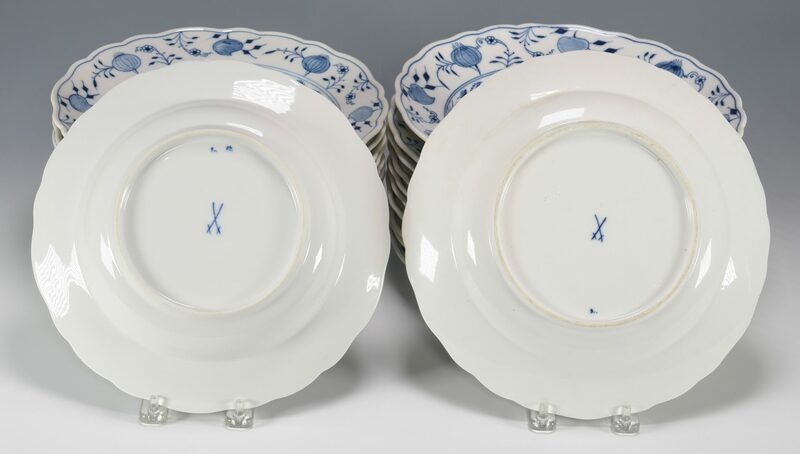 ), 11 bread plates (6 1/4" dia. 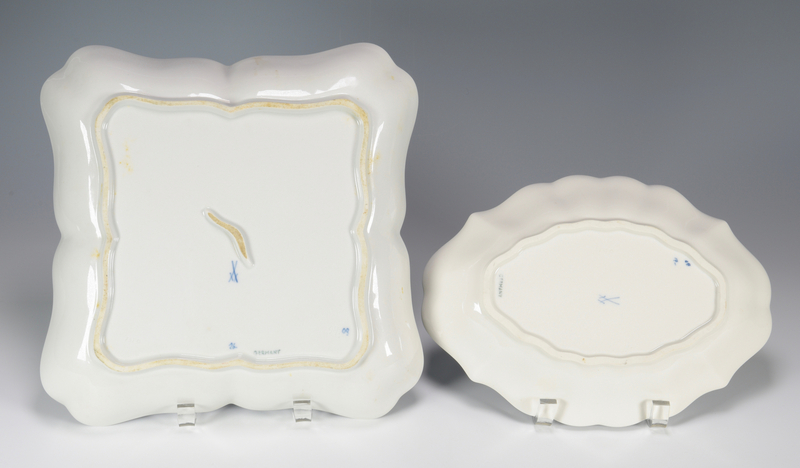 ), 6 smaller plates (7" dia. 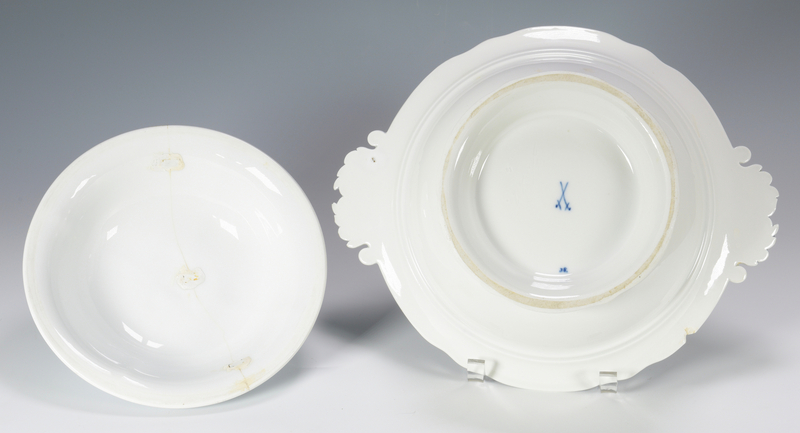 ), 11 luncheon plates ( 7 3/4" dia. 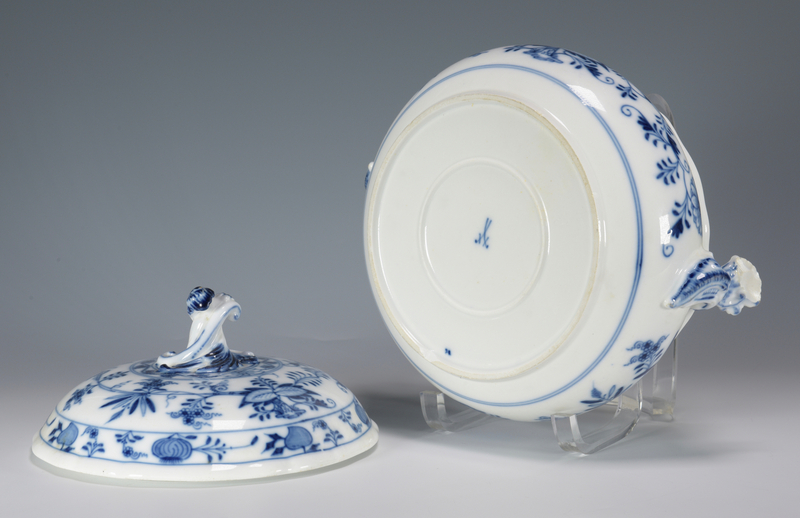 ), square serving bowl (10" square), large oval serving platter (18" x 13"), footed compote (9" H), soup tureen (7" x 10"), medium oval platter (13 3/4" x 9"), covered round serving dish (4" H x 11" W), rectangular covered serving dish (4" H x 7 3/4" W), small oval serving platter (10 1/2" x 7 1/2), leaf dish (7 1/4" x 7"), shell shaped dish (4 1/2" x 4") and circular dish (5 3/4" dia.). 93 total pieces. 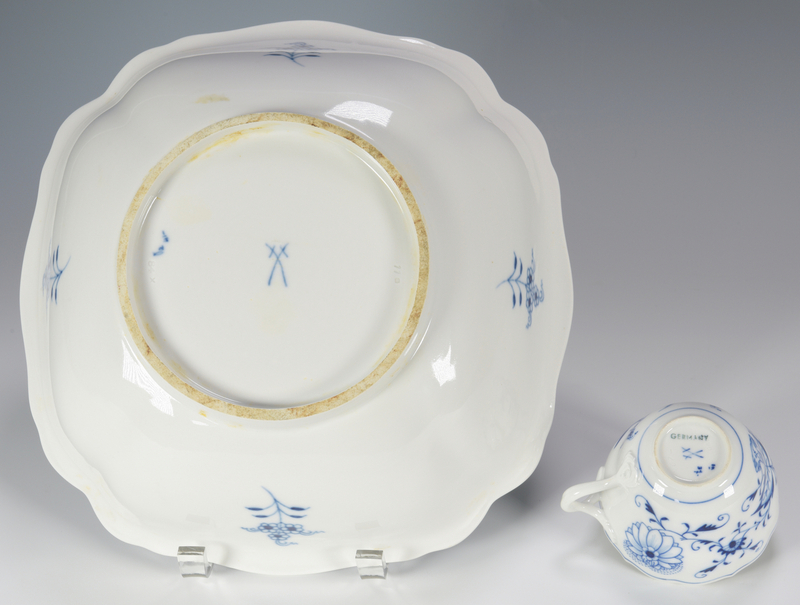 CONDITION: Several saucers with shallow chips to rim. 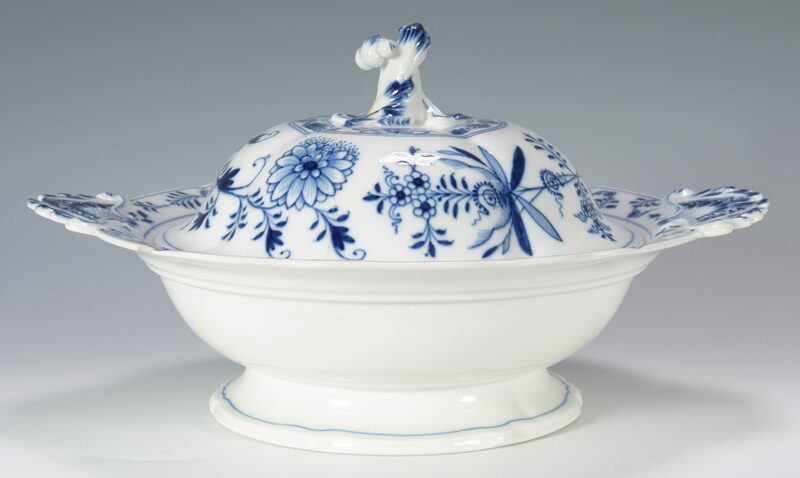 Covered round serving dish with shallow chips to rim and handles, old staple repair to lid. 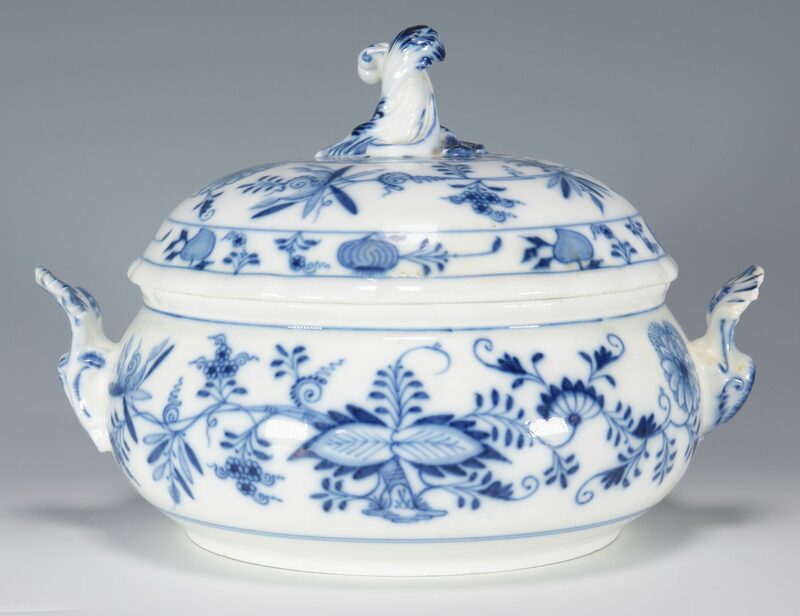 Breaks to to underside of one handle on tureen. Some items with double scratches for seconds but quantity not itemized.